1 tablet contains active ingredient: captopril 25 mg or 50 mg excipients: microcrystalline cellulose, corn starch, stearic acid, lactose. Tablets from white to white with a creamy shade of color with a characteristic smell. A slight "marble" is allowed. Tablets of 25 mg - square with rounded edges, biconvex with crosswise incision on one side and squeezed out the word "SQUIBB" and number 452 - on the other; tablets of 50 mg - oval, biconcave with a notch on one side and squeezed out the word "SQUIBB" and the number 482 on the other side, which has a bevelled edge. ACE inhibitor. Suppresses the formation of angiotensin II and eliminates its vasoconstrictive effect on arterial and venous vessels.Reduces the secretion of aldosterone in the adrenal glands. The maximum hypotensive effect is observed within 60-90 minutes after ingestion. 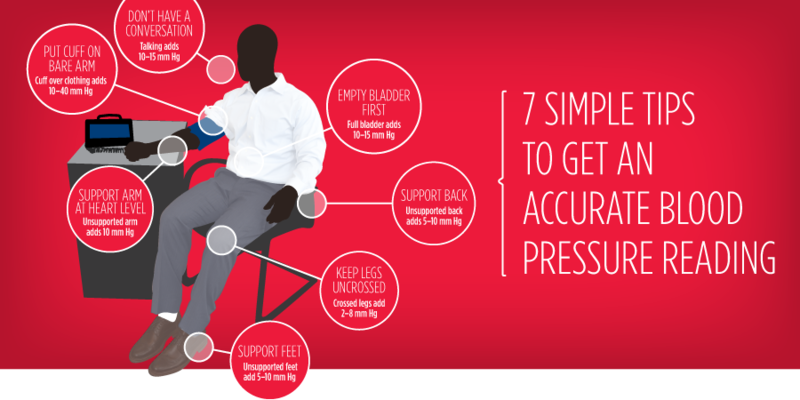 The degree of decrease in blood pressure is the same in the patient's standing and lying position. The efficacy and safety of captopril in children are not established. The literature describes the limited experience of using captopril in children. Children, especially newborns, may be more prone to developing hemodynamic side effects. There have been cases of development of excessive, prolonged and unpredictable increase in blood pressure, as well as complications related to it, including oliguria and seizures. When ingested quickly absorbed from the digestive tract. Cmax in the blood plasma is reached approximately 1 hour after administration. 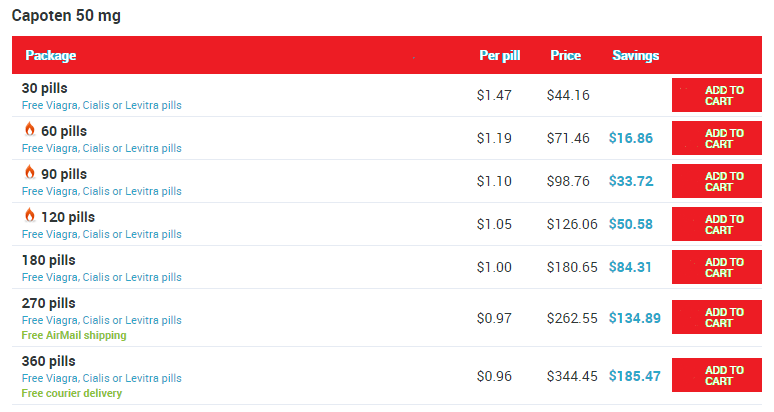 Bioavailability of captopril is 60-70%. Simultaneous food intake slows the absorption of the drug by 30-40%. Distribution.Binding to blood proteins is 25-30%. Excretion: T1 / 2 is 2-3 hours. The drug is excreted from the body mainly with urine, up to 50% unchanged, the rest - in the form of metabolites. - Diabetic nephropathy in the background of type 1 diabetes mellitus (for albuminuria> 30 mg / day). - Hypersensitivity to the components of the drug and other ACE inhibitors. With caution should prescribe the drug in severe autoimmune diseases of connective tissue (including SLE, scleroderma); oppression of bone marrow hematopoiesis (risk of neutropenia and agranulocytosis); ischemia of the brain; diabetes mellitus (increased risk of hyperkalemia); primary hyperaldosteronism; IHD; Conditions accompanied by a decrease in BCC (including vomiting, diarrhea); arterial hypotension; violations of kidney and / or liver function; chronic heart failure; surgical intervention / general anesthesia; patients on hemodialysis; patients who follow a diet with reduced sodium intake; when carrying out hemodialysis using high-strength membranes (for example, AN69), desensitizing therapy, apheresis of LDL; simultaneous application of potassium-sparing diuretics, potassium preparations, potassium-containing substitutes, lithium preparations, immunosuppressants, allopurinol, procainamide (risk of neutropenia, agranulocytosis); elderly patients (dose adjustment required); patients Negroid race. The drug is taken orally for 1 hour before meals. The dosage regimen is set individually. With arterial hypertension, the initial dose is 12.5 mg (1/2 table 25 mg) 2 times / day. If necessary, increase the dose gradually (with an interval of 2-4 weeks) until the optimal effect is achieved. With mild and moderate arterial hypertension, the maintenance dose is 25 mg 2 times / day; the maximum dose is 50 mg 2 times / day. In severe arterial hypertension, the initial dose is 12.5 mg (1/2 table 25 mg) 2 times / day. The dose is gradually increased to a maximum daily dose of 150 mg (50 mg 3 times / day). In chronic heart failure, the initial daily dose is 6.25 mg (1/4 table 25 mg) 3 times / day. If necessary, increase the dose gradually (at intervals of not less than 2 weeks). The maintenance dose is 25 mg 2-3 times / day. The maximum daily dose is 150 mg. If before the appointment of the drug Capoten, therapy with diuretics was carried out, it is necessary to exclude the presence of a marked decrease in the content of electrolytes and bcc. When violations of left ventricular function after myocardial infarction in patients in a clinically stable state, the use of the drug Capoten can begin as early as 3 days after myocardial infarction. The initial dose is 6.25 mg / day (1/4 table 25 mg), then the daily dose can be increased to 37.5-75 mg for 2-3 doses (depending on the drug tolerability) up to a maximum of 150 mg / day. With diabetic nephropathy the drug is prescribed in a dose of 75-100 mg, divided into 2-3 doses. In type 1 diabetes mellitus with microalbuminuria (albumin clearance 30-300 mg / day) the dose of the drug is 50 mg 2 times / day. With proteinuria more than 500 mg / day the drug is effective at a dose of 25 mg 3 times / day. Patients with moderate renal dysfunction (CK ≥ 30 mL / min / 1.73 m2) are given a dose of 75-100 mg / day. In severe disorders of kidney function (CC <30 ml / min / 1.73 m2), the initial dose is no more than 12.5 mg / day (1/2 table 25 mg). In the future, if necessary, the dose is gradually increased (with sufficiently large intervals), but use a smaller, than usual, daily dose of the drug. For elderly patients, the dose is selected individually. It is recommended to start treatment with a dose of 6.25 mg (1/4 table, 25 mg) 2 times / day and, if possible, maintain it at this level. If necessary, additionally prescribed "loop" diuretics, and not diuretics thiazide series. Symptoms: a sharp decrease in blood pressure, shock, stupor, bradycardia, violations of water and electrolyte balance, renal failure. Treatment: gastric lavage, the introduction of adsorbents and sodium sulfate for 30 minutes after taking the drug, the introduction of 0.9% sodium chloride solution or other plasma-substituting drugs (previously the patient should be moved to a horizontal position with a low head, then carry out measures to complete the bcc), hemodialysis. With bradycardia or pronounced vagus reactions - the introduction of atropine. An artificial pacemaker can be considered. Peritoneal dialysis is ineffective for removing captopril from the body. In patients taking diuretic drugs, the drug Capoten can potentiate the hypotensive effect. A similar action is also exercised by a strict restriction on the intake of table salt (salt-free diets), hemodialysis. Usually, an excessive decrease in blood pressure occurs within the first hour after taking the first prescribed dose of the drug capoten. Vasodilators (eg, nitroglycerin) in combination with the drug Capoten should be used at the lowest effective doses because of the risk of excessive BP reduction. Caution should be exercised when using the drug Capoten together (without or with a diuretic) and drugs that affect the sympathetic nervous system (eg, ganglion blockers, alpha-blockers). When combined with Capoten and indomethacin (and, possibly, other NSAIDs, for example, acetylsalicylic acid), the hypotensive effect may decrease, especially in hypertension accompanied by low renin activity. The simultaneous use of NSAIDs (including COX-2 inhibitors) and ACE inhibitors (including captopril) may lead to impaired renal function, including acute renal failure, in patients with risk factors (age, hypovolemia, simultaneous use of diuretics, impaired renal function). Usually, kidney dysfunction in such cases is reversible. It should periodically check the kidney function in patients taking the drug Сapoten and NSAIDs. When treating Capoten with potassium-sparing diuretics (for example, triamterene, spironolactone, amiloride), potassium preparations, potassium supplements, salt substitutes (contain significant amounts of potassium ions) should be prescribed only with proven hypokalemia, t. their use increases the risk of hyperkalemia. With the simultaneous use of ACE inhibitors (especially in combination with diuretics) and lithium preparations, an increase in the lithium content of serum and, consequently, the toxicity of lithium preparations is possible. Periodically determine the lithium content in serum. With the simultaneous use of insulin and hypoglycemic agents for oral administration, such as sulfonylureas, with ACE inhibitors, including Сapoten, an excessive decrease in blood glucose levels is possible. It is necessary to monitor the concentration of glucose in the blood at the beginning of therapy with Capoten and, if necessary, adjust the dose of the hypoglycemic drug. The double blockade of RAAS caused by simultaneous use of ACE inhibitors and angiotensin II receptor antagonists or aliskiren and aliskiren-containing drugs was associated with an increased incidence of side effects such as hypotension, hyperkalemia, and decreased renal function (including acute renal failure). The use of the drug Сapoten in patients receiving allopurinol or procainamide, increases the risk of developing neutropenia and / or Stevens-Johnson syndrome. The use of the drug Сapoten in patients receiving immunosuppressants (eg, cyclophosphacin or azathioprine) increases the risk of developing hematological disorders. Before the onset, and also regularly during the treatment with Capoten, the kidney function should be monitored. In patients with chronic heart failure, Capoten should be used under close medical supervision. With the use of ACE inhibitors, a characteristic non-productive cough is observed, which stops after the abolition of therapy with ACE inhibitors. In rare cases, with the use of ACE inhibitors, there is a syndrome that begins with the appearance of cholestatic jaundice, which turns into lightning-fast hepatonecrosis, sometimes with a lethal outcome. The mechanism of development of this syndrome is unknown. If a patient receiving ACE inhibitor therapy develops jaundice or a marked increase in hepatic enzyme activity, discontinue treatment with ACE inhibitors and establish patient monitoring. In some patients with kidney disease, especially with severe renal artery stenosis, there is an increase in the concentrations of urea nitrogen and creatinine in the serum after lowering blood pressure. This increase is usually reversible after discontinuation of therapy with Сapoten. In these cases, it may be necessary to reduce the dose of the drug Сapoten and / or to cancel the diuretic. Against the background of prolonged use of the drug Сapoten, approximately 20% of patients have an increase in the concentration of urea and serum creatinine by more than 20% compared with the norm or baseline. Less than 5% of patients, especially in severe nephropathies, require discontinuation of treatment due to increased creatinine concentrations. It is not recommended to use a double blockade of RAAS caused by the simultaneous administration of ACE inhibitors and angiotensin II receptor antagonists or aliskiren and aliskiren-containing drugs, as it was associated with an increased incidence of side effects such as hypotension, hyperkalemia, and decreased renal function (including acute renal failure). If simultaneous use of ACE inhibitors and angiotensin II receptor antagonists (double blockade of RAAS) is necessary, the treatment should be performed under the supervision of a physician and in the constant monitoring of kidney function, the content of electrolytes in the blood, and blood pressure. The combined use of ACE inhibitors and angiotensin II receptor antagonists in patients with diabetic nephropathy is not recommended. In patients with arterial hypertension with the use of the drug Сapoten, severe arterial hypotension is observed only in rare cases; the likelihood of developing this condition increases with increased loss of fluid and salts (eg, after intensive treatment with diuretics), in patients with heart failure or who are on dialysis. The possibility of a sharp decrease in blood pressure can be minimized by first canceling (for 4-7 days) a diuretic or increasing the intake of sodium chloride (about a week before the start of the intake) or by prescribing the drug Сapoten at the start of treatment at low doses (6.25-12.5 mg / day). With caution, the drug is prescribed for patients who follow a diet with a reduced sodium content or a salt-free diet (an increased risk of hypotension and hyperkalemia). 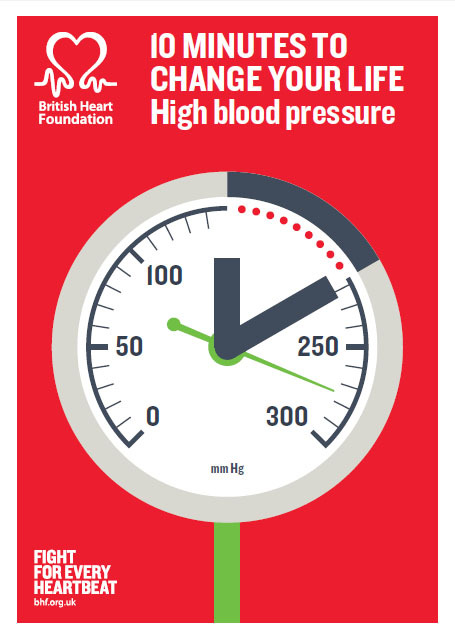 Excessive reduction in blood pressure can occur in patients during major surgical operations, as well as in the use of anesthetics that have an antihypertensive effect. 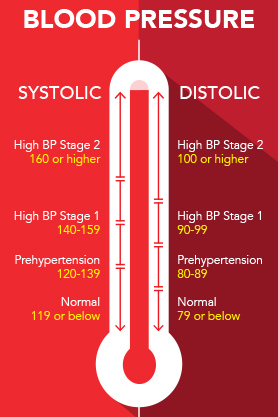 In such cases, measures to increase the BCC are used to correct the lowered blood pressure. Excessive reduction in blood pressure due to the use of antihypertensive drugs may increase the risk of myocardial infarction or stroke in patients with IHD or cerebrovascular disease. When developing arterial hypotension, the patient should be moved to a horizontal position with a low head. A 0.9% solution of sodium chloride may be required. Caution should be exercised when using ACE inhibitors in patients with mitral / aortic stenosis / hypertrophic obstructive cardiomyopathy; in the case of cardiogenic shock and hemodynamically significant obstruction, the use of the drug is not recommended. In patients taking ACE inhibitors, there was neutropenia / agranulocytosis, thrombocytopenia and anemia. In patients with normal renal function and in the absence of other disorders, neutropenia is rare. With renal failure, simultaneous use of the drug Сapoten and allopurinol led to neutropenia. The drug Сapoten should be used very carefully in patients with autoimmune connective tissue diseases, in immunosuppressors, allopurinol and procainamide, especially if there is a previously existing impairment of kidney function. Due to the fact that the majority of lethal cases of neutropenia against the background of the use of ACE inhibitors developed in such patients, it is necessary to monitor the number of blood leukocytes before treatment, in the first 3 months - every 2 weeks, then every 2 months. All patients should be monitored monthly for the number of white blood cells in the blood in the first 3 months after initiation of therapy with Сapoten, then every 2 months. If the number of white blood cells is less than 4000 / μL, a repeated blood test is performed, below 1000 / μL - the drug is stopped, while monitoring the patient. Usually, the recovery of the number of neutrophils occurs within 2 weeks after the withdrawal of the drug Сapoten. In 13% of cases, neutropenia was fatal. In almost all cases, the lethal outcome of neutropenia was noted in patients with connective tissue diseases, renal or heart failure, against the background of immunosuppressive agents or a combination of both. With the use of ACE inhibitors, proteinuria can be noted, mainly in patients with impaired renal function, as well as when using the drug in high doses. In most cases, proteinuria with the use of the drug Сapoten disappeared or the degree of its severity decreased within 6 months, regardless of whether the drug was stopped or not. Indices of kidney function (concentration of urea nitrogen in the blood and creatinine) in patients with proteinuria almost always were within normal limits. Patients with kidney disease should determine the protein content in the urine before the treatment and periodically during the course of therapy. In some cases, against the background of the use of ACE inhibitors, incl. of the drug Сapoten, an increase in potassium in the blood serum is observed. The risk of developing hyperkalemia with ACE inhibitors is elevated in patients with renal insufficiency and diabetes mellitus, as well as taking potassium-sparing diuretics, potassium preparations or other drugs that cause an increase in potassium in the blood (eg, heparin). You should avoid the simultaneous use of potassium-sparing diuretics and potassium preparations. In addition, with the use of ACE inhibitors concomitantly with thiazide diuretics, the risk of hypokalemia is not ruled out, so in such cases regular monitoring of the potassium content in the blood during therapy should be carried out. When hemodialysis in patients receiving ACE inhibitors, the use of dialysis membranes with high permeability (for example, AN69) should be avoided, since in such cases the risk of developing anaphylactoid reactions increases. Anaphylactoid reactions were also observed in patients who underwent apheresis procedure for LDL with dextran sulfate. Consideration should be given to the use of either antihypertensive drugs of another class, or another type of dialysis membrane. In rare cases, against the background of therapy with ACE inhibitors, life-threatening anaphylactoid reactions were observed in patients undergoing desensitization with the help of poisons of Hymenoptera (bees, wasps). In such patients, these reactions were prevented by temporarily discontinuing therapy with an ACE inhibitor. Care should be taken when desensitizing such patients. In the case of angioedema, the drug is withdrawn and carefully monitored until the symptoms disappear completely. Angioneurotic edema of the larynx can lead to death. If the edema is localized on the face, special treatment is usually not required (to reduce the severity of symptoms can be used antihistamines); if the swelling spreads to the tongue, throat or larynx and there is a threat of developing airway obstruction, epinephrine (epinephrine) should be injected immediately (0.3-0.5 ml at 1: 1000 dilution). In rare cases, angiotoneurotic edema of the intestine was observed in patients after taking ACE inhibitors, which was accompanied by pain in the abdominal cavity (with or without nausea and vomiting), sometimes with normal values ​​of C-1-esterase activity and without previous edema of the face. Edema of the intestine should be included in the spectrum of differential diagnosis of patients with complaints of abdominal pain with the use of ACE inhibitors. In representatives of the Negroid race, cases of angioedema development were noted with greater frequency in comparison with representatives of the European race. ACE inhibitors are less effective in representatives of the Negroid race than in patients of the European race, which may be due to the greater prevalence of low renin activity in representatives of the Negroid race. In patients with diabetes who receive hypoglycemic drugs (hypoglycemic agents for ingestion or insulin), the level of glycemia should be carefully monitored, especially during the first month of therapy with ACE inhibitors. When performing extensive surgical operations or using general anesthetics with an antihypertensive effect, patients taking ACE inhibitors may experience an excessive decrease in blood pressure. In these cases, you can increase the BCC. When using the drug Сapoten, a false positive reaction can be observed when analyzing urine for acetone. During the period of treatment it is necessary to refrain from driving motor vehicles and practicing potentially dangerous activities that require an increased concentration of attention and speed of psychomotor reactions. possibly dizziness, especially after taking the initial dose. Use of the drug Сapoten is contraindicated in pregnancy. The drug Сapoten should not be used in the first trimester of pregnancy. Appropriate controlled trials of the use of ACE inhibitors in pregnant women have not been conducted. Available limited data on the effect of the drug in the first trimester of pregnancy suggest that the use of ACE inhibitors does not lead to fetal malformations associated with fetotoxicity. Epidemiological data suggesting a risk of teratogenicity after exposure to ACE inhibitors in the first trimester of pregnancy were not convincing, but some increase in risk can not be ruled out. If the use of an ACE inhibitor is considered necessary, patients planning a pregnancy should be transferred to alternative antihypertensive therapy that has an established safety profile for use in pregnancy. It is known that prolonged exposure to ACE inhibitors on the fetus in the II and III trimesters of pregnancy can lead to disruption of its development (decreased kidney function, oligohydramnion, delayed ossification of the skull bones) and development of complications in the newborn (such as kidney failure, arterial hypotension, hyperkalemia) . If the patient received the drug Сapoten in the II and III trimesters of pregnancy, it is recommended to perform an ultrasound examination to assess the condition of the bones of the skull and the function of the kidneys of the fetus. The use of ACE inhibitors in pregnancy can cause developmental disorders (including arterial hypotension, neonatal hypoplasia of the skull bones, anuria, reversible or irreversible renal failure) and fetal death. When establishing the fact of pregnancy, the drug Сapoten should be discontinued as soon as possible. Approximately 1% of the accepted dose of Сaptopril is found in breast milk. Due to the risk of developing serious adverse reactions in the child, breastfeeding should be stopped or treatment with Сapoten taken from the mother during the period of breastfeeding. Contraindicated use of the drug in patients under the age of 18 years (efficacy and safety not established). Contraindicated use of the drug in severe violations of kidney function. With caution should prescribe the drug for violations of kidney function. Contraindicated use of the drug in severe violations of liver function. With caution should prescribe the drug for violations of liver function. The drug should be stored out of reach of children, dry place at a temperature of no higher than 25 ° C. Shelf life - 5 years. From the cardiovascular system: infrequently - tachycardia or arrhythmia, angina, palpitations, orthostatic arterial hypotension, excessive lowering of blood pressure, Raynaud's syndrome, flushing of the blood to the skin of the face, pallor; very rarely - cardiac arrest, cardiogenic shock. From the respiratory system: often - dry, unproductive cough, shortness of breath; very rarely - bronchospasm, eosinophilic pneumonitis, rhinitis, pulmonary edema. From the skin and subcutaneous tissues: often - skin itching, with or without rashes, rashes on the skin, alopecia. Allergic reactions: infrequently - angioedema of the extremities, face, lips, mucous membranes, tongue, pharynx and larynx; rarely - angioedema of the intestine; very rarely - hives, Stevens-Johnson syndrome, erythema multiforme, photosensitivity, erythroderma, pemphigoid reactions, exfoliative dermatitis, allergic alveolitis, eosinophilic pneumonia. From the nervous system: often - drowsiness, dizziness, insomnia; infrequently - headache, paresthesia; rarely - ataxia; very rarely - confusion, depression, cerebral blood flow disorders, including stroke and syncope, blurred vision. From the hemopoietic system: very rarely - neutropenia, agranulocytosis, pancytopenia, lymphadenopathy, eosinophilia, thrombocytopenia, anemia (including aplastic and hemolytic forms). On the part of the immune system: very rarely - an increase in the titer of antinuclear antibodies, autoimmune diseases. On the part of the digestive system: often - nausea, vomiting, irritation of the gastric mucosa, abdominal pain, diarrhea, constipation, taste disturbance, dryness of the oral mucosa, dyspepsia; infrequently - anorexia; rarely - stomatitis, aphthous stomatitis; very rarely - glossitis, stomach ulcer, pancreatitis, gingival hyperplasia, impaired liver function and cholestasis (including jaundice), increased activity of liver enzymes, hepatitis (including rare cases of hepatonecrosis), hyperbilirubinemia. From the osteomuscular system: very rarely - myalgia, arthralgia. From the urinary system: rarely - violations of the kidneys (including kidney failure), polyuria, oliguria, frequent urination; very rarely - nephrotic syndrome. From the side of the reproductive system: very rarely - impotence, gynecomastia. Other: infrequent - peripheral edema, chest pain, fatigue, a feeling of general malaise, asthenia; rarely - hyperthermia. Laboratory indicators: very rarely - proteinuria, eosinophilia, hyperkalemia, hyponatremia, increased urea nitrogen, bilirubin and creatinine in the blood, a decrease in hematocrit, a decrease in hemoglobin, leukocytes, platelets, hypoglycemia.